Get Your style going the right right the first time by wearing Steven Land dress shirts in bold patterns. Steven Land dress shirts feature the absolute cutting edge colors and patterns that will show off your knowledge of style. 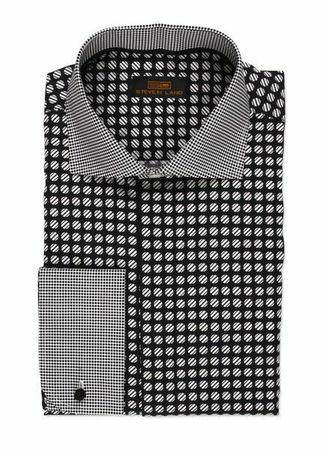 This black dot pattern dress shirt features a spread style collar with mini dot cuffs and spread collar. Made of pure cotton.